#Moscow. #Kremlin. #MoscowKremlin. #Moscowfrompetersburg. #TourToMoscow. #MoscowPrivateTourGuide. #MoscowForCruisePassengers. #ForCruiseShipPassengers. #ForCruisePassengers. to Moscow from St Petersburg. Moscow for cruise ship passengers. 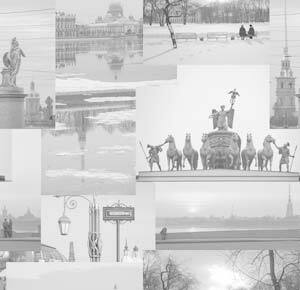 There are all our Moscow tours from St. Petersburg. 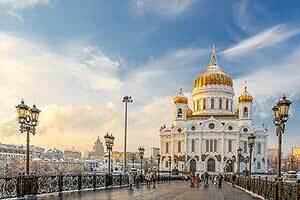 This option includes inside visits to the most famous Moscow museums: the Armory and the Cathedrals which are on the territory of the Kremlin as well as walking tours of the most famous Moscow sights. Please notice that it’s a completely walking option and you won’t have any vehicles at your disposal for the whole day in Moscow. On the one hand it will allow you to avoid all the traffic jams and save time for sight-seeing but on the other hand it will require a lot of energy and physical strength so we want you to be ready for it. *** The main active Cathedral of Russia. Please take care to dress accordingly - no shorts, no mini-skirts, no sleeveless dresses or shirts. Ladies will also need a scarf or kerchief to cover their hair. Photo and video are allowed only outside.